Hi everybody, I have opened a new website which I am hoping will improve the quality of the contents and generally be better organised and easier to use. Pop in and have a look at the new GarageTech and let me know what you think. As I was writing my previous two articles Upgrade you old laptop with a Raspberry Pi and take two of the same I was thinking that it would have been really cool to be able to attach the Pi on the laptop in a way that it would have been easy to detach if need be and that it wouldn't have had to be permanent. Some laptops aren't as decrepit as mine and having the possibility to remove whatever I was going to use to attach the Pi was important. With this, I had 4 cores with Hyperthreading and VT which could provide 8 vCPUs without relying to much on over allocation. 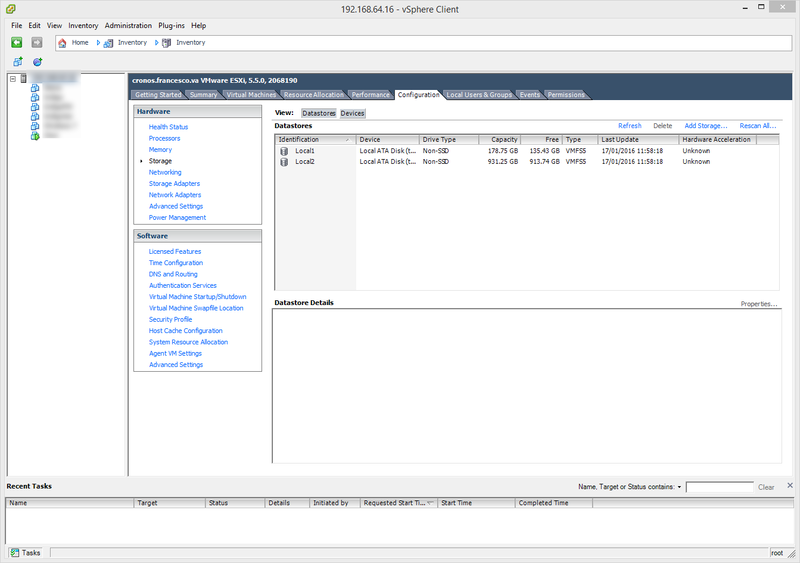 Although ESXi has a great scheduler and will manage more than 8 vCPUs despite the 8 physical ones but for the moment we won't worry about this. The same can be said for the 16GB that will be more than plenty for a while and won't need to make use of memory sharing. 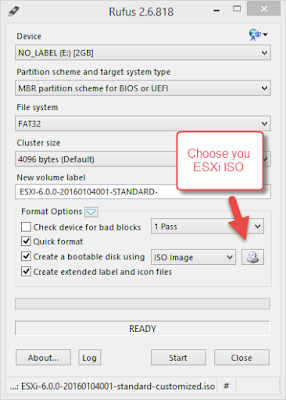 ballooning or any other ESXi trickery to over provision resources. As my weak spot will be SATA, the more I can keep in memory the better will be. The build of this new server was quite a refreshing experience for me. 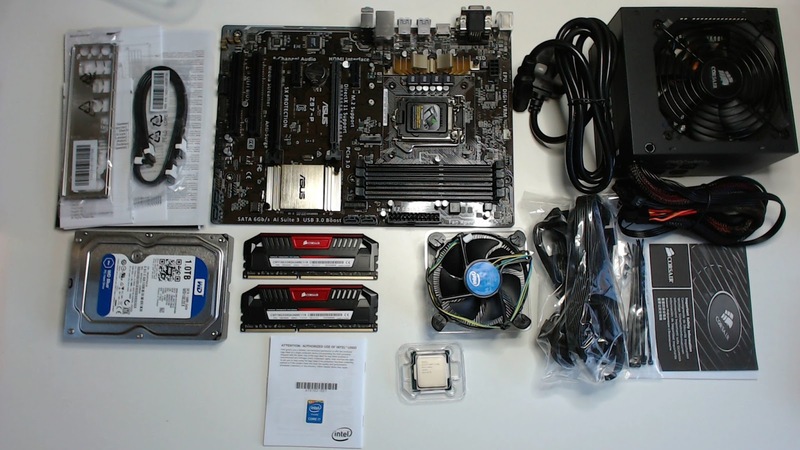 Although I started my geek life in computer shops doing just that, it had been a long while since a built a PC from scratch and things changed substantially since then. 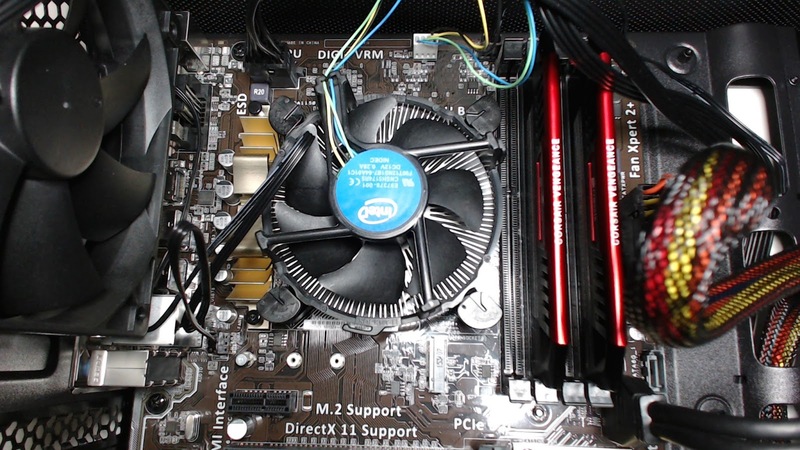 I believe my last PC build was something like a PIII socket 1!!! The end result wasn't so bad. Now, I do not have a DVD/ROM on my new box, neither did I on the previous one. I much prefer using USB keys for my installation. After all I would need the DVD/ROM only once! A bit of a waste if I'd leave it there, wouldn't it? Before we move onto installing ESXi let's make sure that Hypertreading and VT are enabled in the BIOS and that the SATA controllers are set as AHCI not RAID. 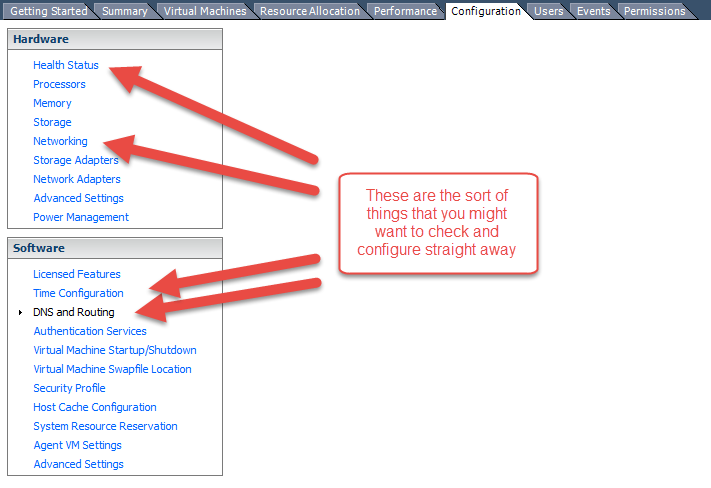 The kind of RAID available on home motherboards is not good for ESXi. The way you do this depends on the motherboard and BIOS you have but generally it is around advanced and CPU properties. We now can put our USB key to good use and finally boot our new server. The installation process is quite easy and not much get's to be decided during it. The image is very light and will install in very little time. 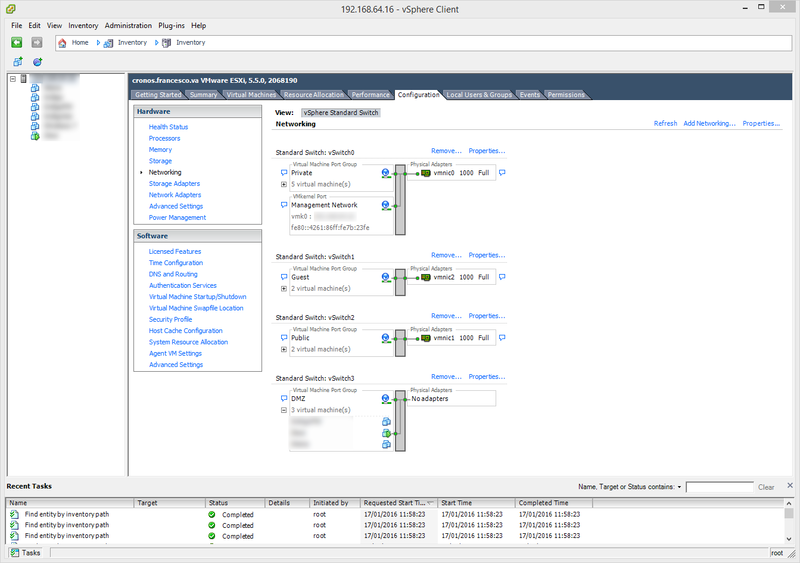 Configure you new "home cloud"
This article describes quite well what happens and what need to be done during and after the installation. It is for version 5 but it won't make much difference at all. First we login. Do not tick using Windows credentials as it won't work. In our case we need the local credentials we inserted during the installation. First lets' check that all is as we expect. This is why I needed those many network cards. 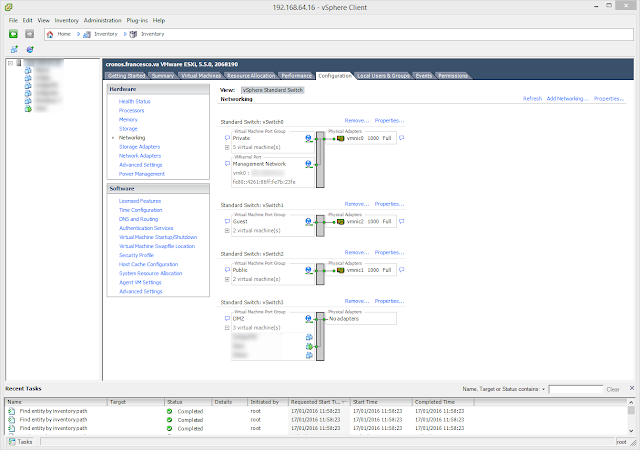 I am running my home firewall as a VM and have created quite a few virtual networks for that. This could be an article on its own as it involves also my router and VLAN tagging so I won't go any further at this point. 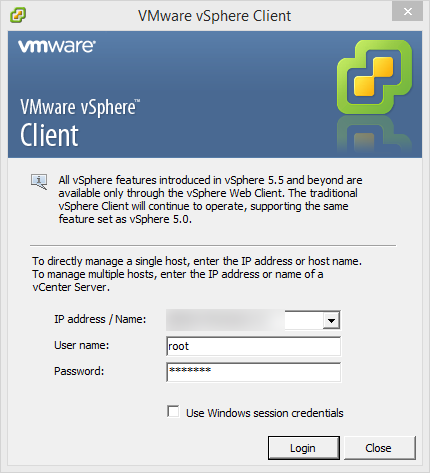 Just bare in mind that you will need to at least define a few or at least one Virtual Machine Port Group and that in the majority of cases it might be on the same switch (vSwitch0) in which you have already defined your Management Network. Backing up your VMs will be an essential task to carry out regularly and it was certainly something I used to backup mine before I moved them on the new server. For this I use a nice and intuitive too from Trailed called VM Explorer. In its free version it has some limitations (e.g. it won't do restores) but nothing that can't be overcome with some sweat and creativity. I hope I did not confuse you too much and that I haven't left too many things out. If I did let me know! I was at the Fab Lab in London a few days back to get a closer look at 3D printing, laser cutting and well, as I found out at digital fabrication in general! As we arrived we were welcomed by Tony Fish, Susana, Heman and Nealesh to be given a tour of the Fab Lab and get a feeling of what digital fabrication is really about. Susana, Herman and Nealesh are interns at the FabLab and they are themselves skilled makers with a very nice project crowd funding as I am writing. The project is called Pegged-In and their website is a must see as it is a piece of art in itself. Tony suggests that we are at a turning point with regards to technology and that the digital world should now turn its attention to moving from pure ether to the physical world. Something, he says, that can be achieved by new technologies like 3D printing and laser cutting but mostly by a community which is more than ever detaching from the sole role of being consumers to become owners and manufacturers of their own ideas. 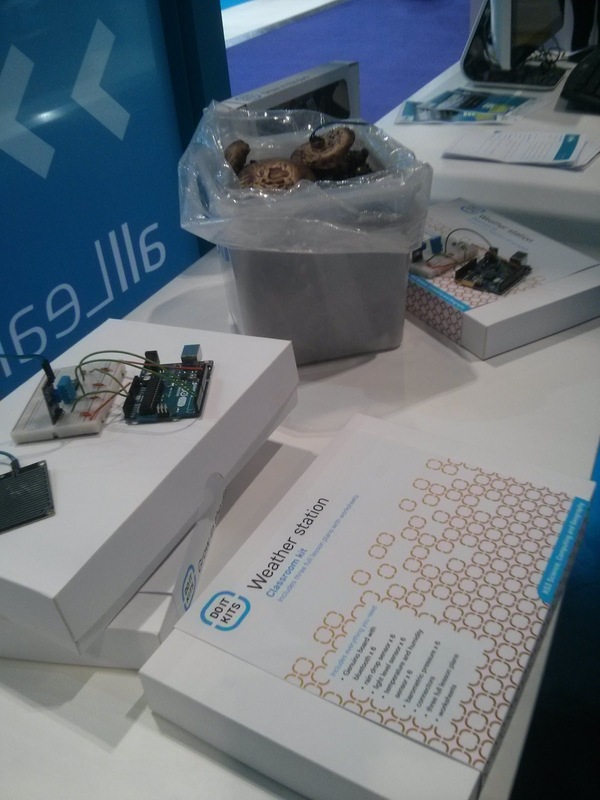 Ideas which are also worth spreading in a manner that takes a lot of the open source ethos. The FabLab London opened a year ago in what had been one of the hottest day in a long while, on the day we were visiting it was a rather chilling January morning just a few degrees above zero. The lab was anyway a warm place, full of energy and people buzzing about doing the most disparate things form modelling, to design, coding, meeting with others, crafting, you could enter the FabLab with an idea and get out with an actual product in your hands! Yes because the Fab Lab is not just a furnace of ideas but mostly a very practical, pragmatic place where ideas become reality. The two main services the lab offers are in fact the digital fabrication and the rapid prototyping whereby the lab staff will help you refine your project and create a usable prototype of it. The session was mostly aiming to be an informative one to bring awareness and get a little flavour of what this new revolutionary approach to "making" is about. It was mostly addressed to journalists so that when they would write on the subject of digital fabrication they would be more knowledgeable about it. I was obviously an intruder. The approach of the session was then intended to be more pragmatic than simply a tour of the lab so that we could have ended up making something in the end. 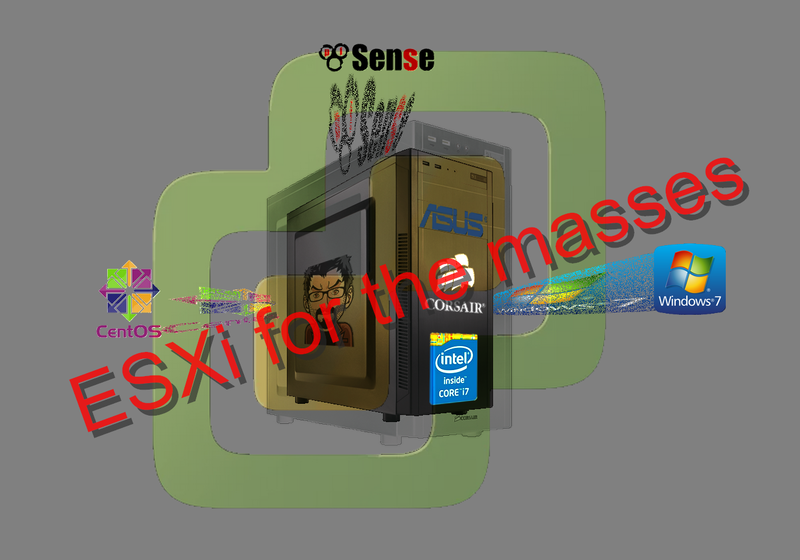 That;s what hands-on is all about! 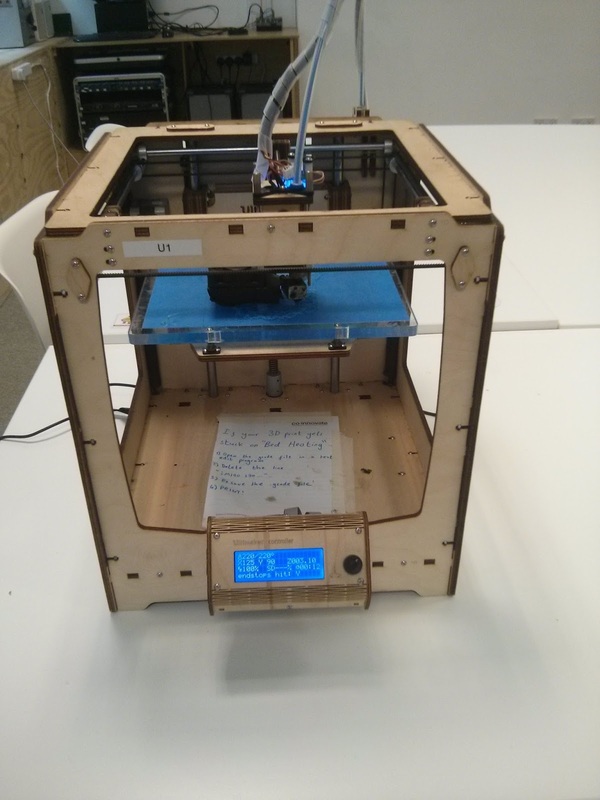 The FabLab comes out of MIT and there is now more than 600 around the world. It was started on questions like: "How do we make sure that a product can be replicated exactly every time, the millionth one equal to the first?" This lab opened September last year and is already counting 10K people that went through the lab showing how successful the idea has proven. 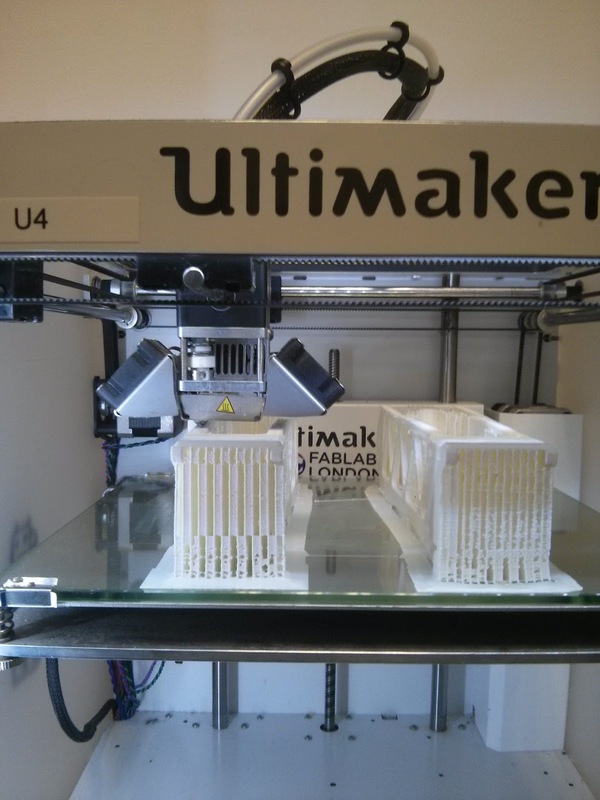 The first rule of FabLab is: learn, make, share. This applies to everything from coding to electronics, from crafting to sewing. Making lets you realise how difficult and valuable manufacturing, designing and developing a product is and also how new skill sets are needed to foster and sustain this new movement. People in the FabLab come from several backgrounds and this is what makes the place such a resourceful environment. One of the intern for example comes from a designer background he is a product designer, another is a physic, others have electronics engineering background and so on. As Tony was finishing his welcome speech he showed us the cannon ball that Martina had skilfully transformed into a piece of art by creating little magnet boats and an elegant stand. After the introduction we moved immediately in the area where the 3D printers were busy working, buzzing about and depositing material layer after layer. The 3D printers are essentially made of a table that moves vertically up and down and a nozzle that squirts heated plastic onto the table. The nozzle moves along X and Z coordinates via two stepper motors and deposits the plastic on the table with extreme precision. The plastic is heated at 220 degrees and the filament is pushed through the nozzle by cogs in a mechanism at the back of the printer which steadily moves it through the nozzle for it to melt it. A good enough printer would cost in the range of £1700 allowing for products which are rendered with a very good quality. But there are printers for all sorts of budgets starting at as little as £200/£300. A filament costs around £20 for 750g reel. The quality depends on how precisely the objects are created in much like the same way as you would measure video cards or traditional printers resolutions. 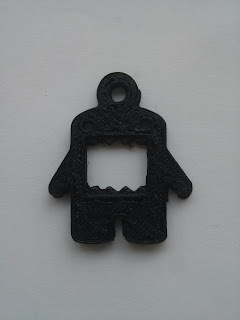 The smaller is the detail that you can render the better is the resolution of the 3D printer. The initial set-up of a printer, especially for the not so expensive ones, can be rather tricky and although a set-up software will guide through the process, it might require some time to get through the whole thing. Getting used to your printer will help you over time to spot problems with the tuning and quickly put the printer back in check. The table will need to be perfectly levelled, the corners to which the nozzle will move to will have to be precisely identified, the distance of the nozzle from the table will have to be perfectly set and other settings will have to be adjusted from software for every object created. A bit more work then you would need to do than with your normal printer I guess but you are printing in 3D! More expensive printers will come with a set of sensors which allow for the printer to auto-calibrate but that increases the cost quite substantially. The majority of printers will only use one colour of material but there are already some that can handle two different types of filaments. With regards to the materials used the filament can be made of reusable PLA a fantastic things which is also great for the environment.and that allows for discarded materials to be reduced back into pellets and reeled as filament once again. At the FabLab they had bought a new tool just for that. Even when it comes down to the printer itself the choices are many. 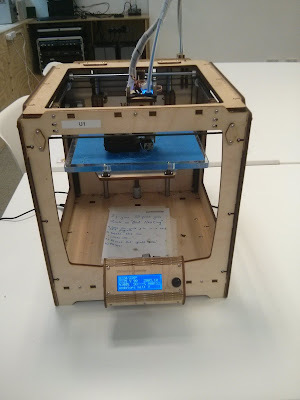 Some printers can be build by laser cut material like wood or acrylic, some like the RepRap can reproduce itself! Next we were in ore of the laser cutter where we met Helen that was cutting cardboard for a box she was preparing for an Arduino based kit targeted to schools for STEM. 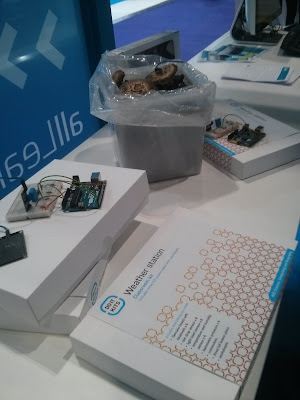 I was later able to see the finished product at Bett Show 2016. 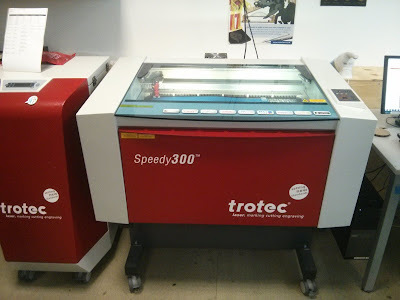 The principle of the laser cutter is very similar in this case to the traditional pen plotters (if you are old enough to have seen one) except that instead of using a pen this cutter fires a laser on the material underneath. 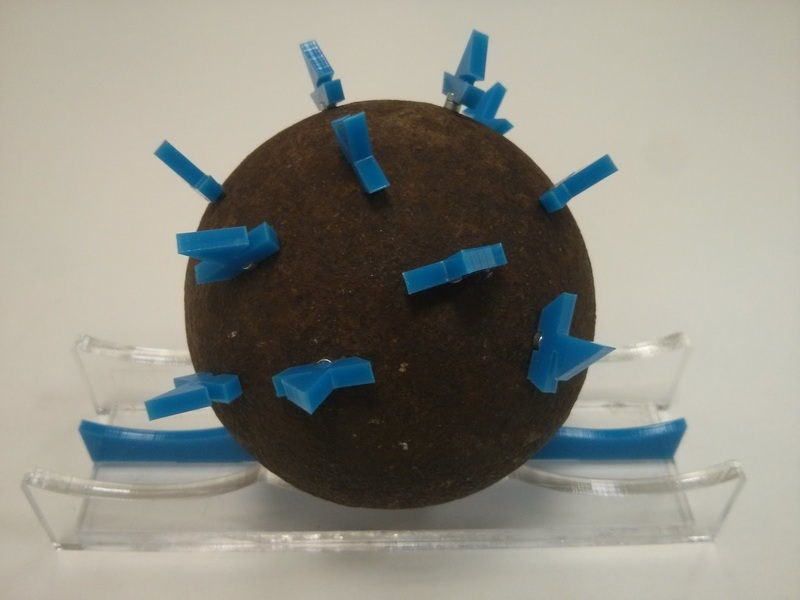 The power of the laser, the speed and the frequency of the pulses can be adjusted in order to work on different materials. Too much power and you are burning the material too much. too little and you won't cut it. Changing the parameter also allows for the laser to work as an engraver and instead of going completely through the material it will only "scar" it to a chosen depth. Having a laser cutter is not only expensive because of the cost of the cutter itself but also for the space it takes and for the infrastructure that goes with it like the extractor fan for the fumes. Not something you could easily have at home! At the FabLab there is also a well set-up electronics lab full of components and tools which can accommodate the majority of your needs. Next to it there is a workshop for mechanical works complete with a lathe where we found somebody making parts for a clarinet! 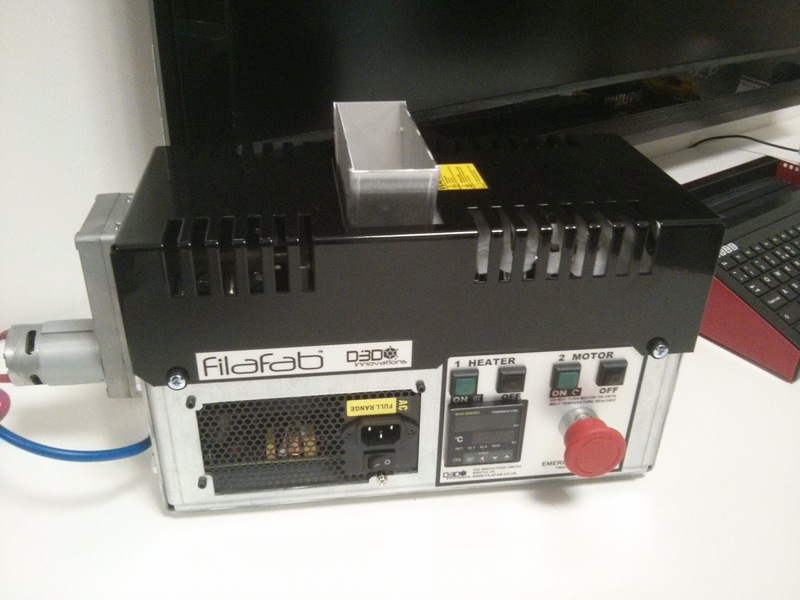 When I said you can anything at the FabLab I actually meant it. Passing in front at the spaces that can be used for work groups to come together and develop ideas, we eventually got in the last section of the FabLab. At the end of a narrow corridor we found Martin and the lab manager Frank busy at work with computer programmable sewing machines. 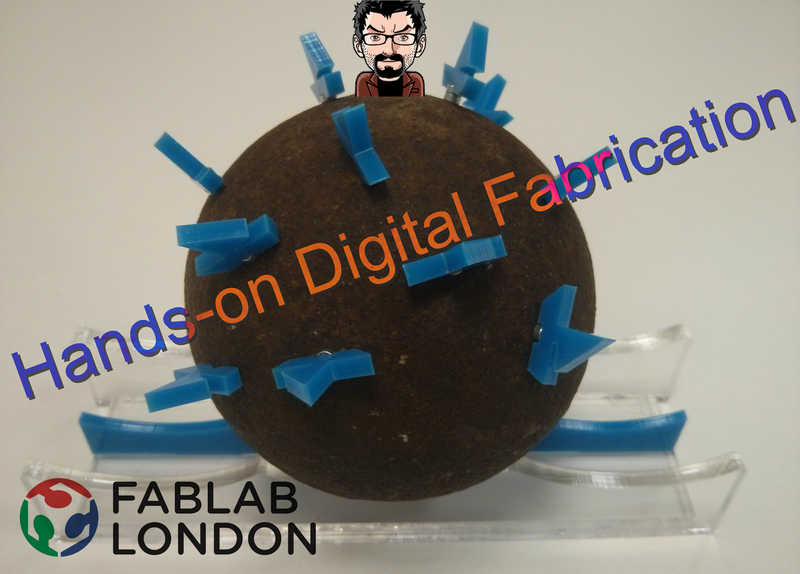 By using conductive thread they were getting ready for a workshop to be given to 25 French teachers which on their way to the Bett Show 2016 also wanted to visit the FabLab to gain some insight in digital fabrication. 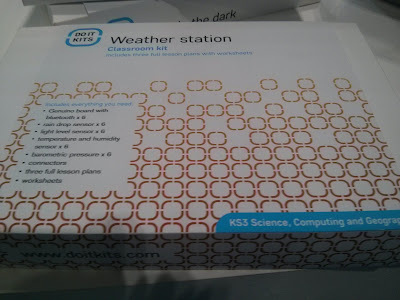 The kit was not ready but we could already see from the sketches on the white board and the prototypes being worked that it would have become the basis for a rather interesting workshop on wearable technologies. 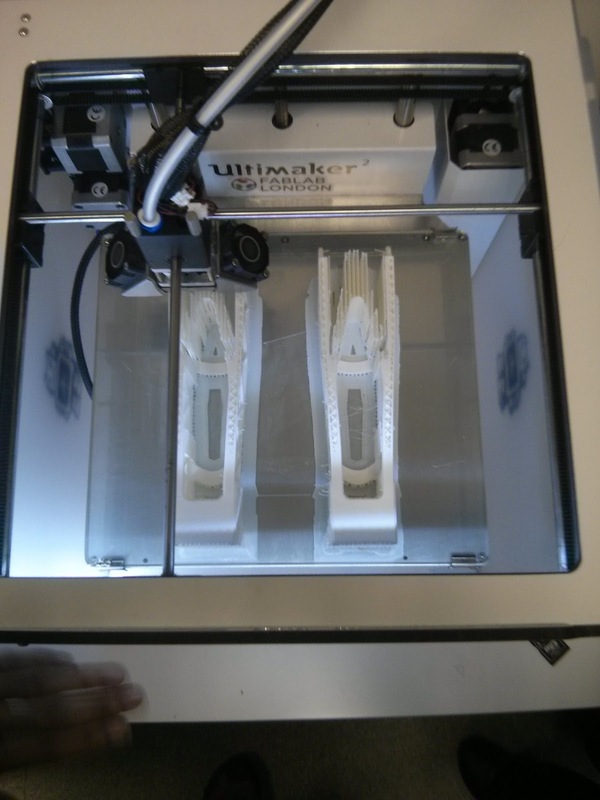 That concluded our little tour of the lab and off we went to practice on the 3D printers. After being given a bunch of laptops we were instructed to visit the website Thingiverse where anybody can go and find a design for something that would be later fed to the 3D printer. The printers in fact have an SD card reader and through a display you are given the possibility to choose the design on that card that you want executed. Some parameters needs to be set on the downloaded design like whether you want to print a draft or an accurate reproduction of the object. This is done through a modelling tool and once saved the file is ready for the printer. Depending on the parameters chosen you are also advised of the time it will take to print the object so that's when it is very important that you understand the implications of your parameters e.g. draft or quality will change the time dramatically. In the end I managed to get away from the lab with just a small keyring but what counts more with a much better understanding of what digital fabrication is about and of the many opportunities it is starting to offer. The lab is opened free of charge on Fridays for the public and during the week you can use it at a cost. So what are you waiting for? Visit the FabLab closer to you and get ready to learn, make and share. 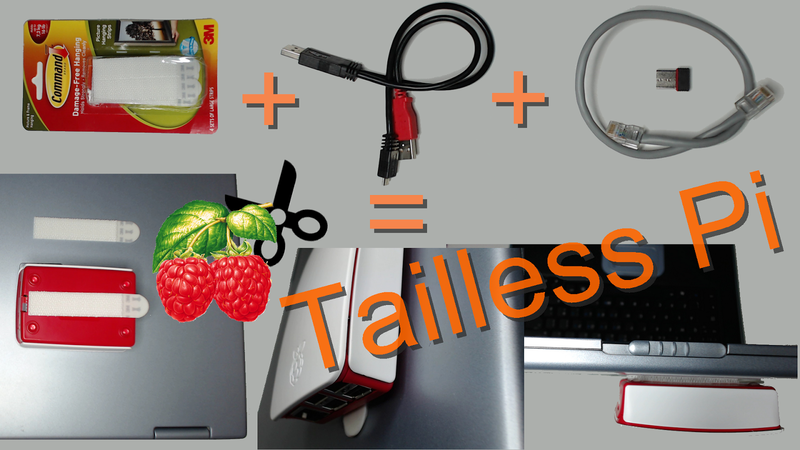 What if you want to connect your Raspberry Pi tailless but use a Windows OS on your laptop? Well don't despair, there are ways to do that and a few tricks that will allow you to do so under several circumstances. So let's recap what do we want to achieve. We want to connect a Raspberry Pi to a Windows computer, typically a laptop so that we can use the Keyboard, the Mouse and the Monitor of the laptop and replace its "engine" with a Raspberry Pi. Old laptop or not this solution also makes for a great way to make your Pi a lot more portable. In this tailless configuration the only cable you might have is the power supply to your laptop! 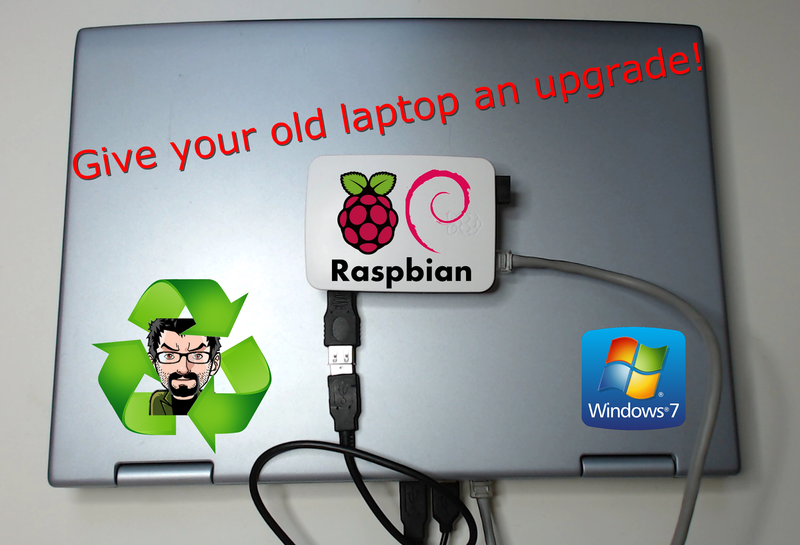 Be weary that I have used a Windows 7 for the laptop and Raspbian Jessie for the RPi. Things may be slightly different using other versions. This article should also serve as an Errata Corrige for my previous one with regards to the Pi's support for Link-Local address. I will amend the previous post ASAP. To glue them together we also need a USB Y cable and a 20-30cm Ethernet cable (Cat 5e or +) straight or crossover. The first hurdle that we need to solve is how to try to make the laptop talk to the Pi at IP level. For that to happen the two must be connected at layer 1 and 2 of the OSI stack. 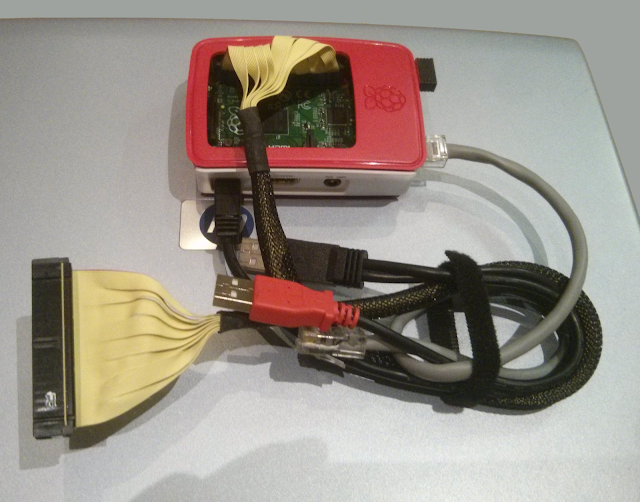 The Ethernet cable plugged in your laptop's NIC and in the Pi's one does just that. It provides physical connectivity and data link. What we don't get as easily is two IPs in the same subnet. This can be achieved in many ways, let's see a few. That we are going to use to connect to the Pi independently from its IP address. Dealing with IP addresses is in fact quite a pain, that's why DNS came about after all. In my previous article I mentioned the good that comes with mDNS so that you can reach raspberrypi.local independently to which IPv4 or IPv6 you are using on the Pi. Installing it is extremely easy and you will be able to use it straight away. Thanks Apple! Automatic Private IP Addressing is Microsoft's interpretation of Link-Local address and it is a way of auto assigning IP addresses to hosts within a network segment without the need for a DHCP (service that is typically the job of your home router or NAS). A Class B of IP addresses has been reserved just for this purpose. 169.254.0.0/16 or 169.254.0.1 through to 169.254.255.254 with 169.254.0.0 being the subnet and 169.254.255.255 being the broadcast address. The network mask is 255.255.0.0. Which in itself is quite a lot of technical gibberish but bare with me. 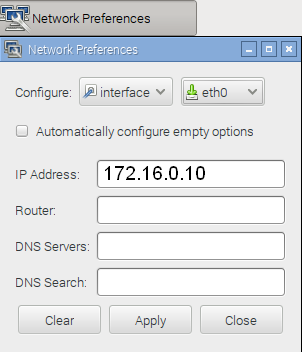 Now in the absence of a DHCP a Windows system (or any other OS supporting Link-Local address) will be configured as 169.254.x.y and this is the case for the Pi too with Raspbian Wheezy or Jessie. I know I have said in my previous article that it didn't but ... it turns out it was grapevine knowledge which I would have been better off verifying first. I'll amend the other article ASAP. 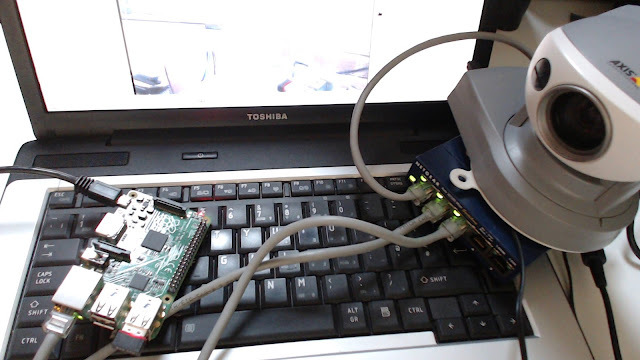 The following screenshots illustrate the status of the adapters and of some other aspects at the network level of both the laptop and the RPi. As well as the IPv4. 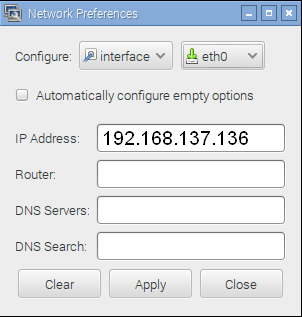 If your laptop has an IP configured for its Ethernet adapter that you are not willing to alter then you can use the cmdline.txt to configure the Pi with an IP in the same subnet as you laptop. Easy! You need to edit the cmdline.txt file in /boot and add the part highlight in bod above. Make sure that all the text is on one line only. The format is ip=<client-ip>:<server-ip>:<gw-ip>:<netmask>:<hostname>:<device>:<autoconf> so you can add other parameters if you need to. The netmask might be one that you want to set right. 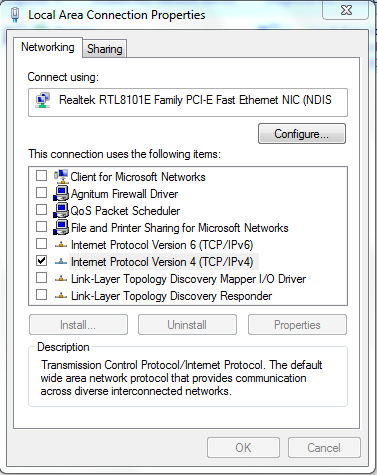 The following screenshots illustrate the status and configuration of the adapters and of some other aspects at the network level of both the laptop and the RPi. An easy enough solution to connect to your Pi is to leverage on the Internet Connection Sharing functionality of modern Operating Systems like Windows. ICS will let you share a connection on your laptop via another one. Your laptop may have a WiFi card connecting you to the Internet and an Ethernet adapter. ICS will allow you to share the WiFi via the Ethernet NIC, anything connected via an Ethernet cable to the laptop will receive an IP address and will be able to use the WiFi as a gateway to the Internet. Now we could be interested in just that but I said that we wanted to use old laptops just as KVMs not also as Internet gateways, there is nothing wrong with that but accessing the Pi from elsewhere than the laptop with this configuration may be troublesome if not plain impossible. What we are very much interested in is the fact the ICS transforms the Windows OS in a DHCP on the shared network adapter so that we can have our IP! And comment out the line which bares the IP of the laptop. Lastly we need to setup the IP as static on the Pi as explained in the previous section and this time use the IP we were given with ICS which was 192.168.137.136. 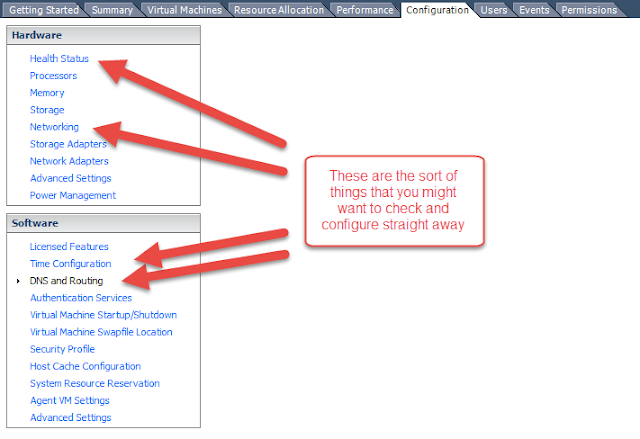 Make sure to untick "Automatically configure empty options". or add an additional WiFi card or other network interface via PCMCIA or a bluetoooth adapter but that would be quite inefficient and rather laborious. Unless there are some very specific needs I would just create the fake dial-up. All of the above IP options will require in the majority of cases a one off connection to a monitor, keyboard and mouse so factor this in if you are off somewhere with a brand new SD card for your tailless Raspberry Pi. Which of these setup is best it largely depends on your needs but the Link-Local address / APIPA seems by far the preferable especially when using Bonjour. If your "portable" setup becomes a bit more complex and you have devices that need an IP delivered with a DHCP, ICS is your friend. In the picture above I have a tailless Pi connected to a switch to which are connected the laptop and a security camera. The camera can only do static IP or DHCP hence the need for ICS when on the move. Also ICS inherently allows you to know the IP of its clients as by assigning them an IP that also generates an entry in the ICS's ARP cache. By inspecting it we can immediately tell which IP have been assigned making connecting to them a lot more easy even in the absence of mDNS / Bonjour. A good part of what has been said in this article and in the previous one applies to the Raspberry Pi A/A+ and to the Zero but not in all cases. 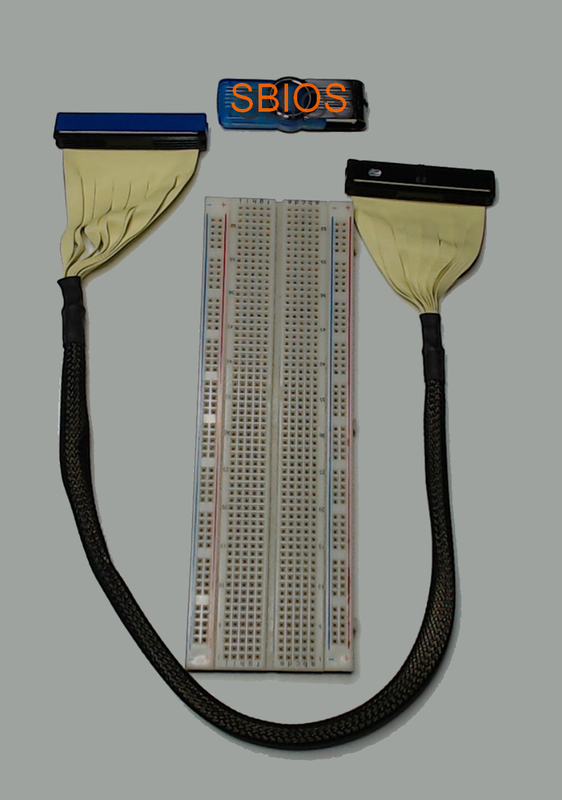 These configurations are meant to use a real Ethernet card and won't always work for the likes of the Ethernet Gadget as in this article from Adafruit. I will explore this at some point and see what of the above is applicable in this case and what should be adjusted. The cables to make the Pi tailless are only two, could I use a Wireless connection instead of the short Ethernet? I don't see why not but it would make things a bit more complicated and confusing. The Ethernet cable guarantees a really good connection to the laptop and it is not prone to the various problems the WiFi inherently has. Tiding up the Ethernet with the power cable should not be a big problem and I would stick with that. This is until the USB gadget configuration is easier to setup and use, that may be a real game changer.